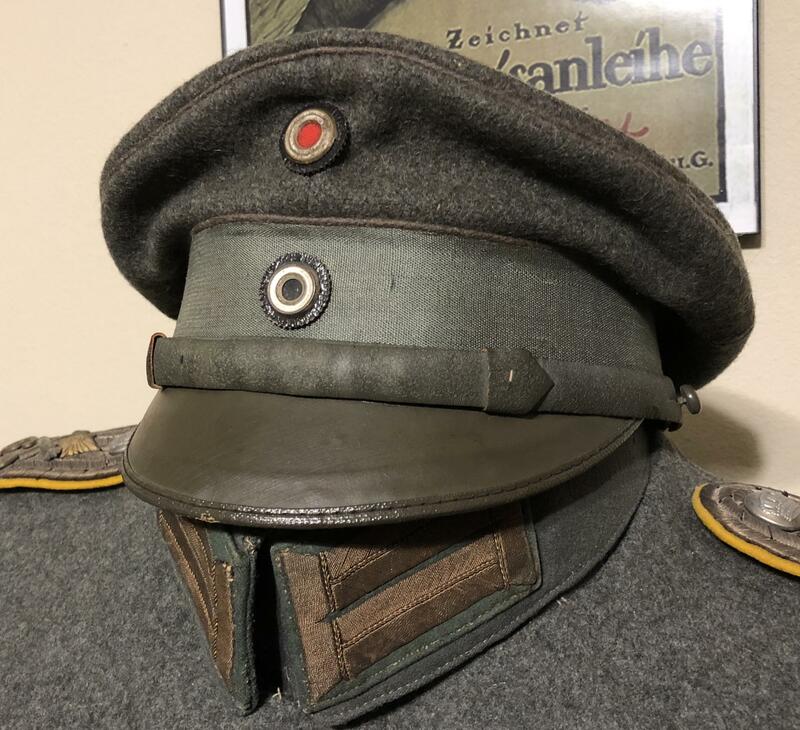 My only M15 with a 1917 visor cap. 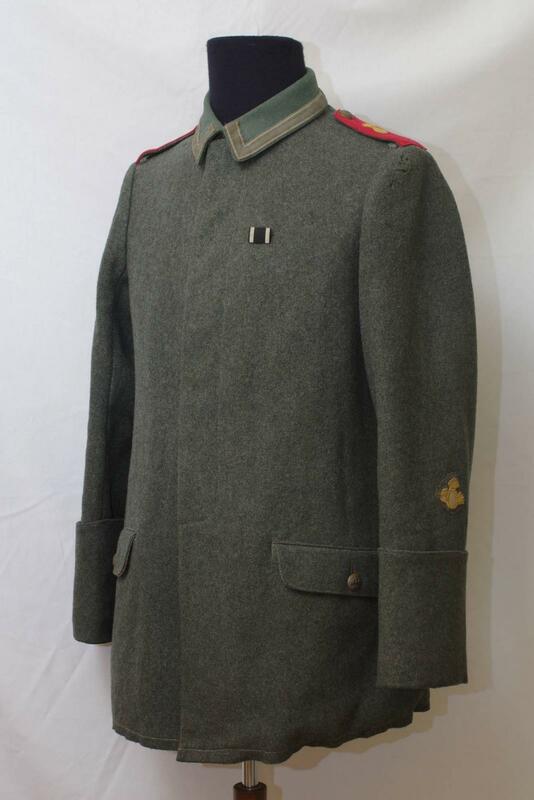 Here is my 3rd Garde Grenadier Regiment tunic. B.A.G. 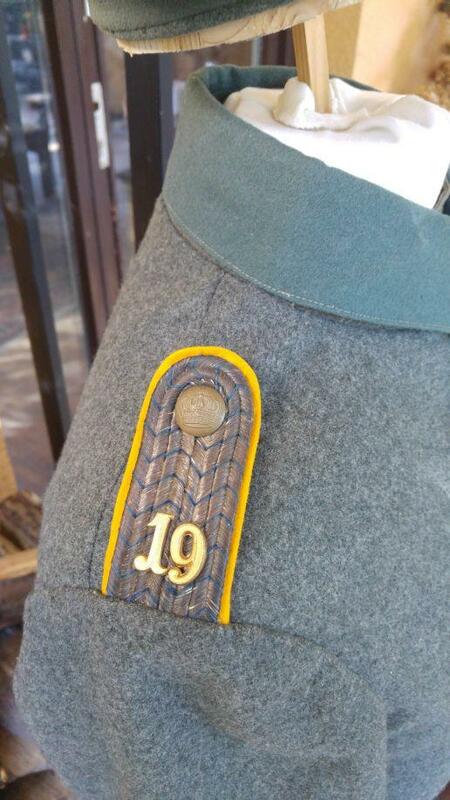 marked and dated 1917.
what appears on the shoulderboards? 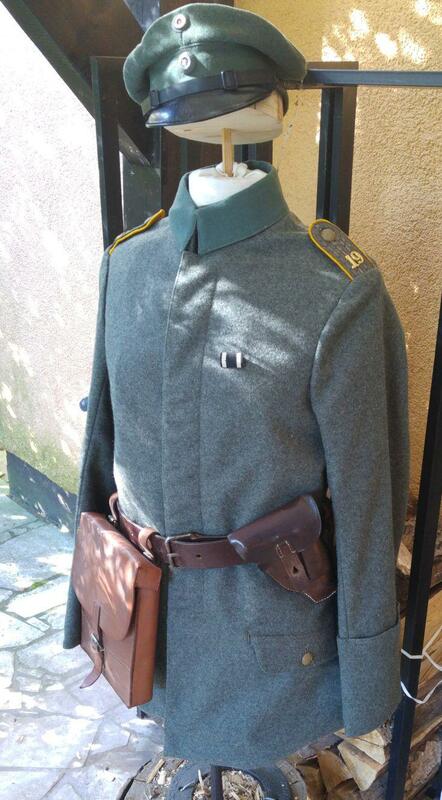 Here is a quite rare M15 Officer's bluse. This one is marked "B.A.I." 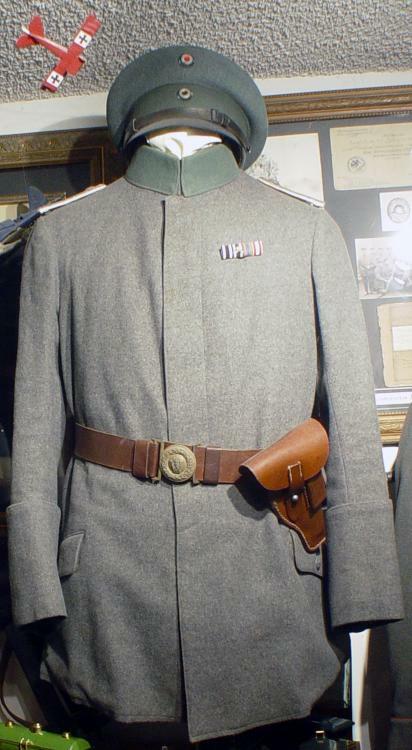 and dated 1917. 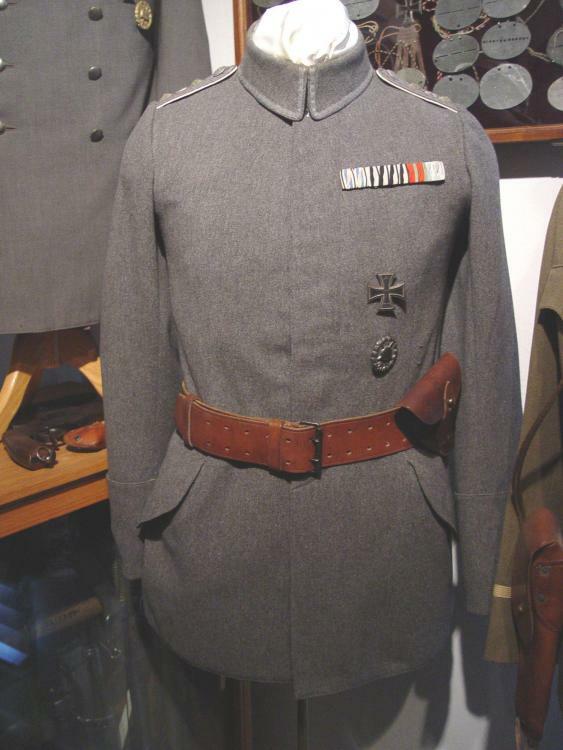 Shoulder boards are subdued lieutenant's numbered "43". This is not a converted enlisted model but rather one made as an officer's. 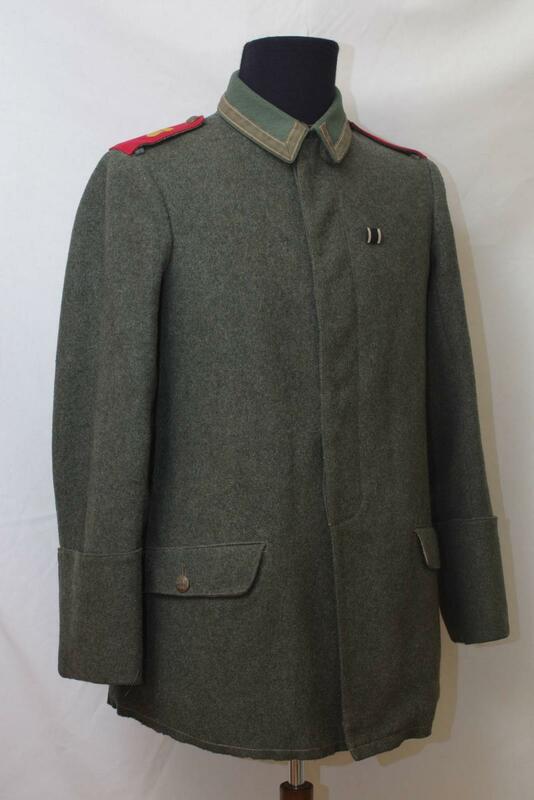 I understand that officer's in the field did not always have access to private tailors to purchase replacement uniforms but they could purchase one from their Clothing Depot. it was my understanding that Depots would sell to officers, but they converted Other ranks to officers? 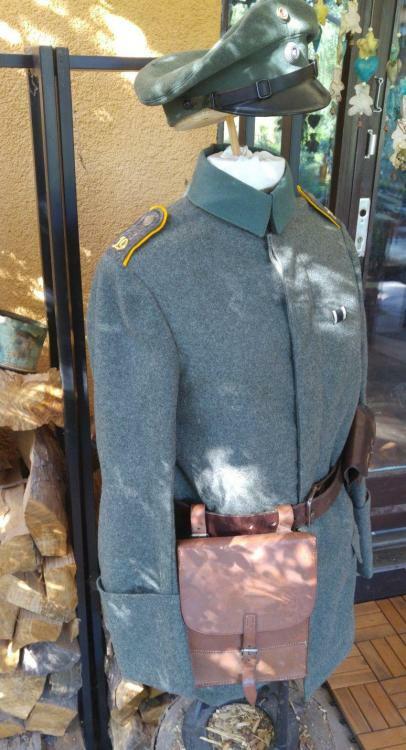 Does it have a Soldbuch Pocket? 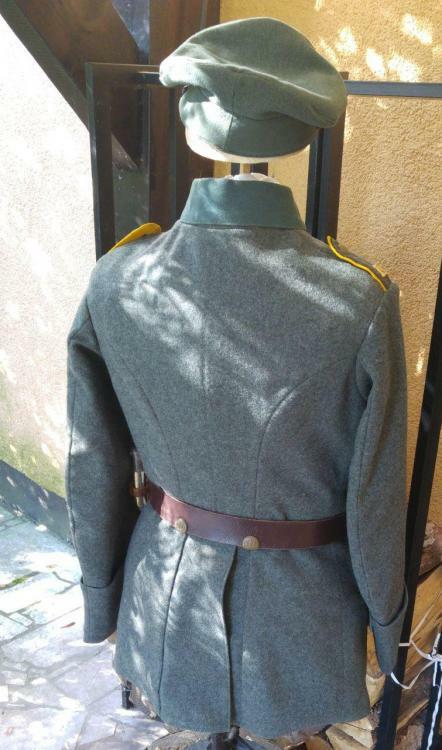 Hello, According with the regulations , German officers weared private tailored tunics either manufactured by specialized tailors of the Civilian or regimental ones . 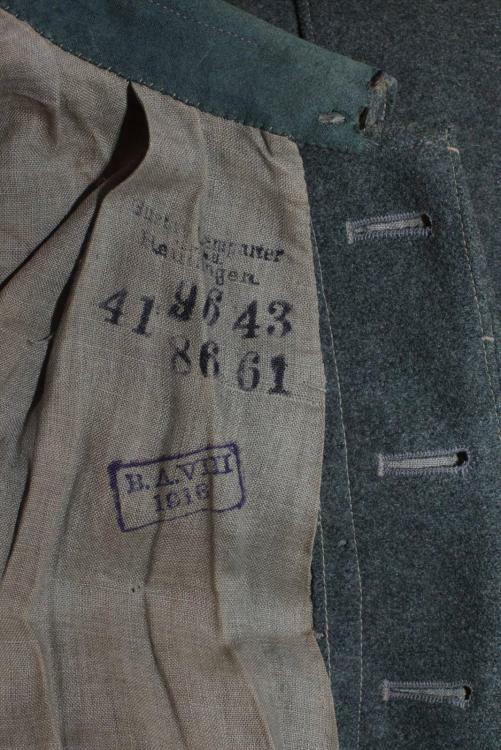 if dont exists in Berlin the equivalent of Saville Row ,existed perhaps more militay tailors .In wartime many alteration took place. 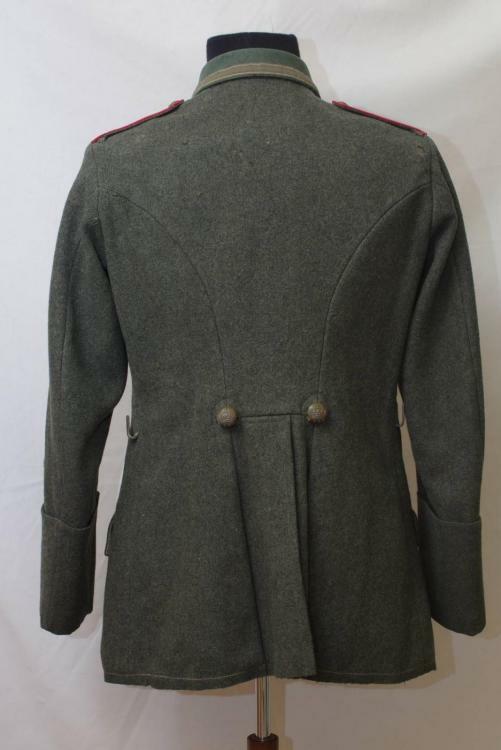 and specially after 1916 . the quality of the cloths varied widely . many times the same cloth was used for officers and men Blusen alike . 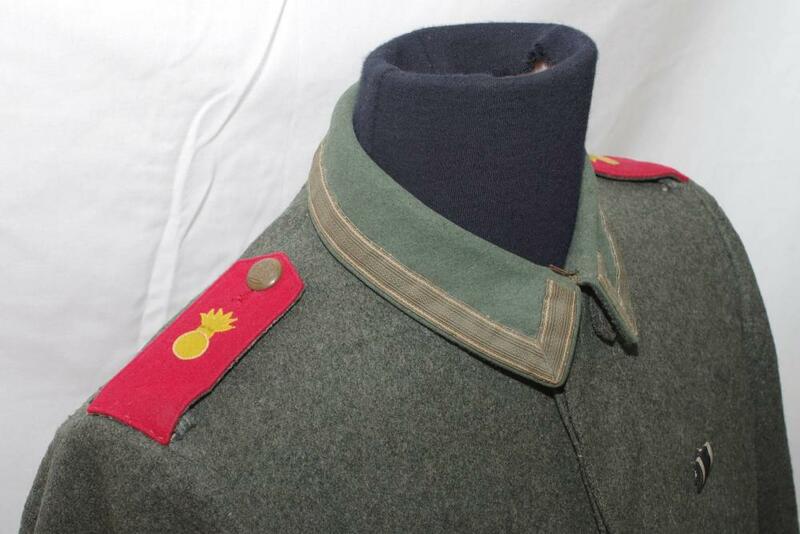 otherwise many senior NCOs and inclusive OYVs used to wear officers type tunics privately purchased . 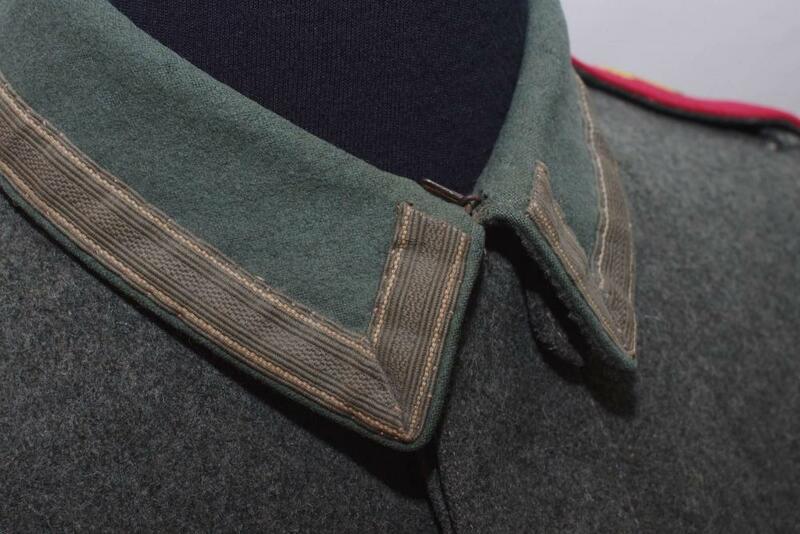 In support Bayern's comments this tunic has the enlisted type Bluse liner and the wool is very coarse. Hardly private purchase quality doeskin. Seems like whoever made this tunic for the depot also made enlisted ones. 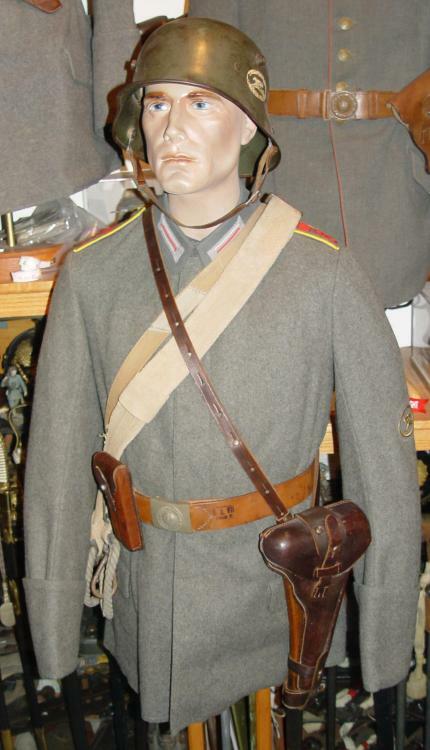 I will reiterate I can find no signs of alteration or modifications. 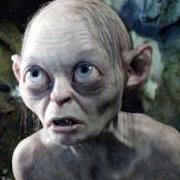 Hello Jeff Noll . 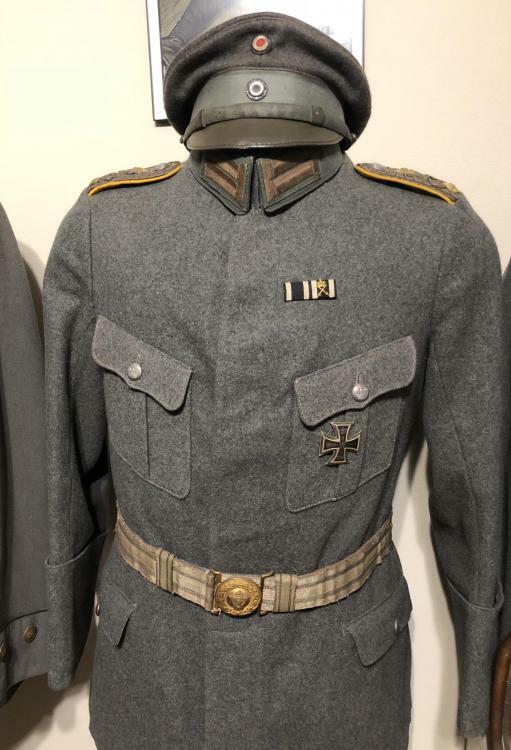 The Central Powers due to the Blockade suffered atrittion of raw materials , one of them was cotton ,imported before the war from Egypt , wool was also scarse then fine cloth as doeskin was not manufactured the same is valid for gaberdine or tricot . 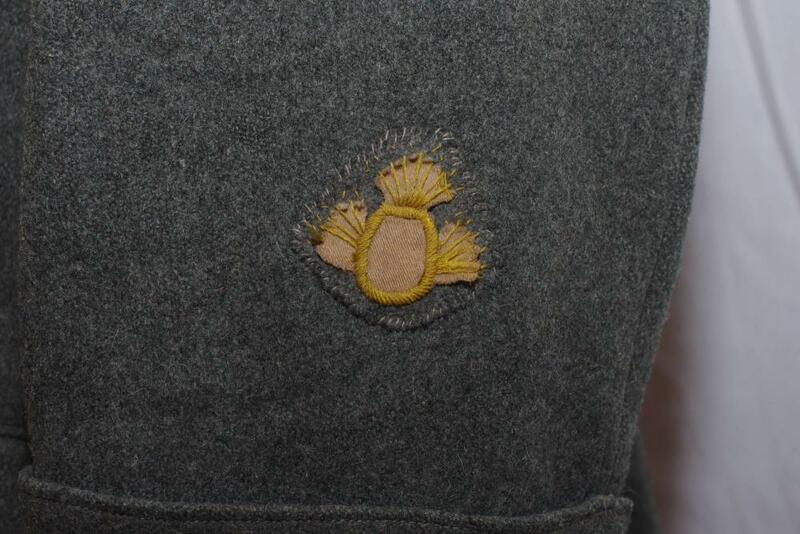 Nearly all textiles manufactured from mid 1916 were made using mixtures of wool with artificial silk ,cellulose based .the scarse cotton was used for other war items as captive balloons .